BarStoolsAndChairs features top quality American Made bar loungers. Our bar loungers feature a rugged steel frame and a deluxe bucket seat. 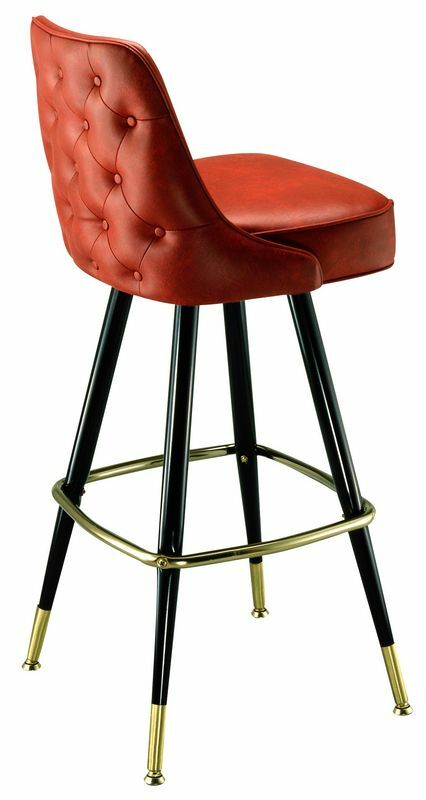 These stools are designed for years of service at your bar or restaurant. The seat features a 3 degree return swivel. A return swivel means that the bar stool seats will always face front when not in use. The frame comes in either black or brown. The footrest, ferrules, and glides come standard in brass. We can use chrome glides and a chrome ring as a special request. Our bar loungers are made in the USA.